Sheds N Chalets are local shed builder and installers. We first started working with Sheds N Chalets in 2009 when they came to us with an idea of what they wanted. However, since then we have revamped the website with a fresh new design, making it user friendly and full mobile responsive. The development team built the front-end and setup WordPress CMS (content management system) to enable the client full access to update the sites content, posts, images and videos etc. We worked very closely with our client to add the websites content, photos and generally throughout the design and build of the website. In the past we have also worked with Sheds N Chalets while they made effective use of our digital marketing service and have worked on generating more business from Google AdWords. We produced this video for Sheds n Chalets to use on their Website and Digital Marketing. We worked very closely with our client to add the websites content, photos and generally throughout the design and build of the website. I would definitely recommend Ben and Copper Bay Creative for anyone wishing a new website or just a remake of their original site. Professionalism and value for money all in one package, what more could you wish for? 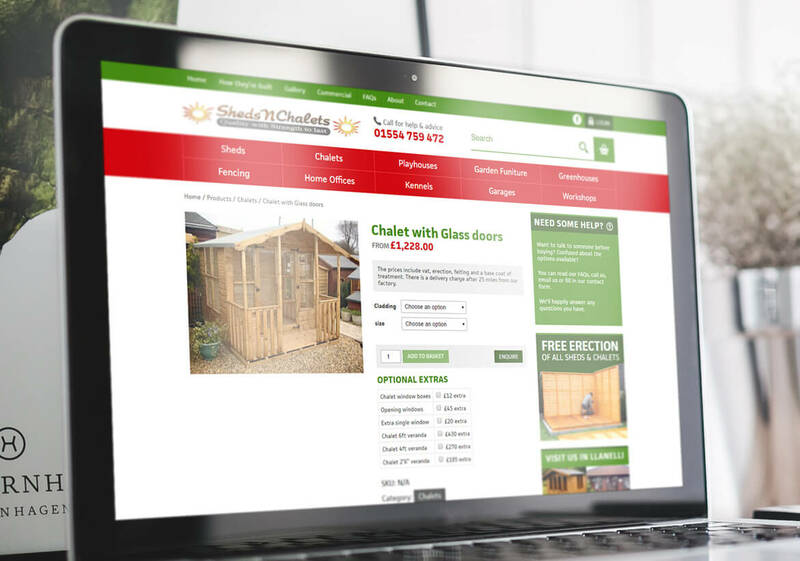 Our team at Sheds N Chalets were getting good sales from our website, but like most business’s wanted a bit more traffic, which meant more changes and more cost, every time we needed a small change we had to contact our webmaster to do this for us. With this in mind we searched for an independent web designer that could design a new site for us then allow us to change information and pictures ourselves. We had heard about Copper Bay Creative and gave Ben a call. He quickly visited our offices and took note of what we required and went back to start on our new site. Ben was very patient with our demands and took great pride in his work designing our site; he had some great new ideas that have helped us achieve more traffic and sales plus the added bonus of us maintaining the site ourselves, but still having Ben on call for any problems we may occur.